We are a leading Wholesale Distributor of flexible grid coupling for automation equipment from Hyderabad, India. 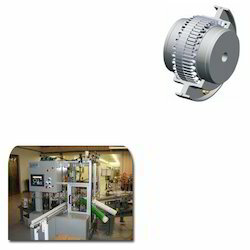 Being quality oriented organization, we offer Flexible Grid Coupling for Automation Equipment. These Grid Couplings are developed from world class aluminum. These are developed keeping the current trends of finishing. Our aim is client satisfaction. Looking for Flexible Grid Coupling for Automation Equipment ?